Turnips are one of those veggies that are often overlooked and have a bad rap, but really, they deserve a lot of attention. They are so delicious, and I love that even though they are starchy, they have about a third of the calories of the same volume of potatoes. 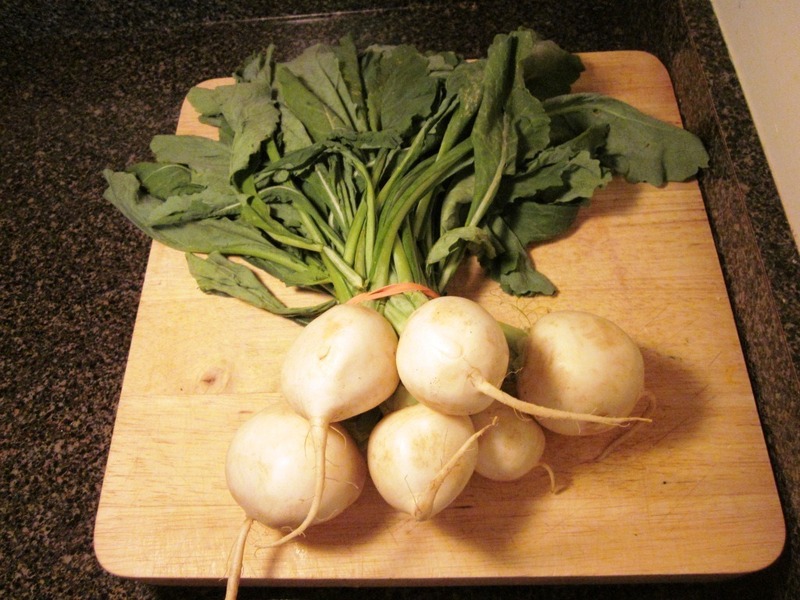 Turnips are loaded with nutrients, cheap, and both the greens and roots are delicious. I love when you can use every part of a veggie! Turnips are perfect to use if you want to get soups creamy without actually using cream – you can just add a turnip to the other veggies in there, and pureed it adds a silk creaminess to the soup. I have a recipe for “Cream” of Asparagus Soup here and you won’t BELIEVE there’s no cream in there! You can also use them pretty much any way you’d use potatoes – to make fries, roasted, mashed turnips, or what I’m going to show you below – roasted turnip puree. Roots (the white part): Vitamin C, B6, E; Folic Acid, Manganese, Fiber, Potassium. 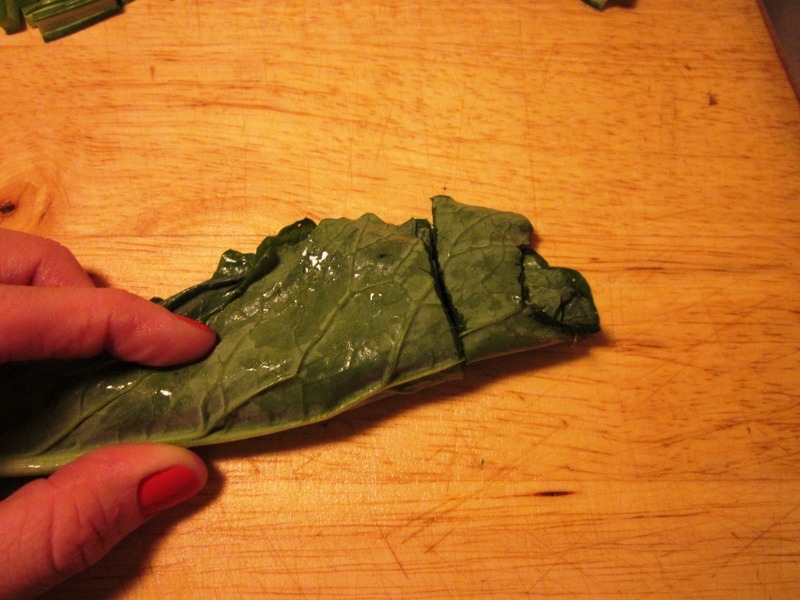 Greens: Vitamin A, B6, E, Folic Acid, Calcium, Copper, Fiber, Manganese. Turnips are all over the farmers markets these days so I picked up a bunch this past weekend and was looking forward to having them because it’s been ages since the last time! 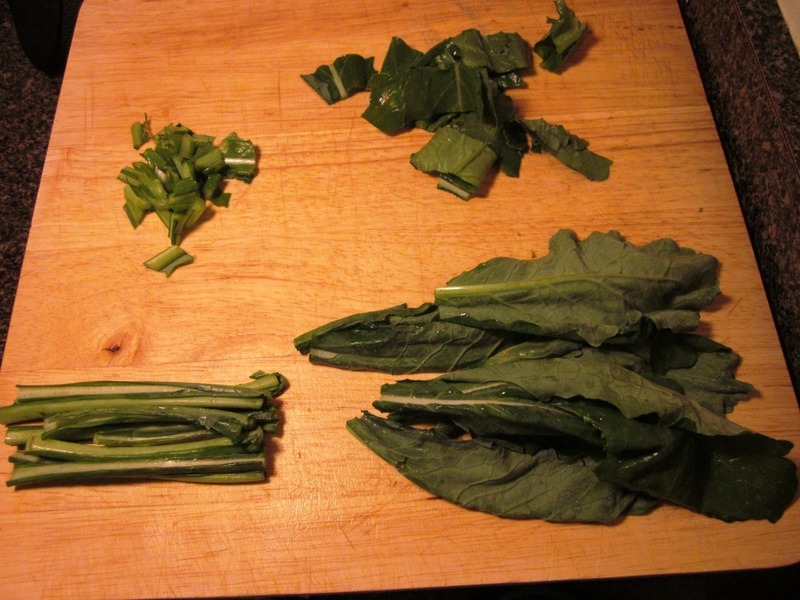 To start, you want to use a sharp knife to separate the roots from the greens. After you’ve separated the roots from the greens, slice the green part that’s left on the root away. 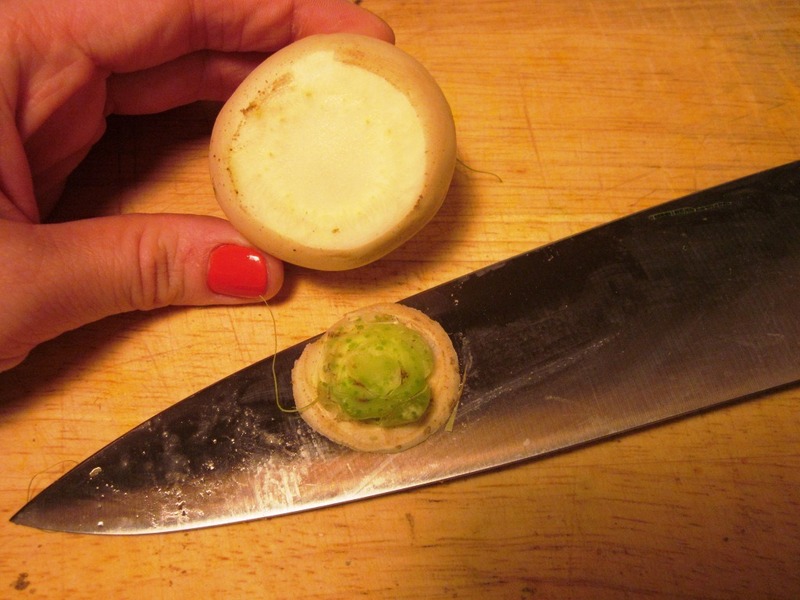 Also slice off the small root growing off the bottom and you’ll be left with mostly round turnips. Now, you want to peel them. The skin comes off really easily if you use a vegetable peeler, but do it carefully so you don’t take away too much of the root itself. Now the turnips are ready to be sliced up into mostly even pieces. The pieces will brown at this stage if you leave them out too long, so make sure you place them in water if you’re not cooking them for a while. Coat them with a little olive oil spray (or the real deal), salt, and pepper, and place them in your 400 degree preheated oven. Roast them until they are golden brown, about 30-40 minutes, turning once. Let the roasted turnips cool slightly, and then place them in a blender and blend blend blend until they are completely smooth. 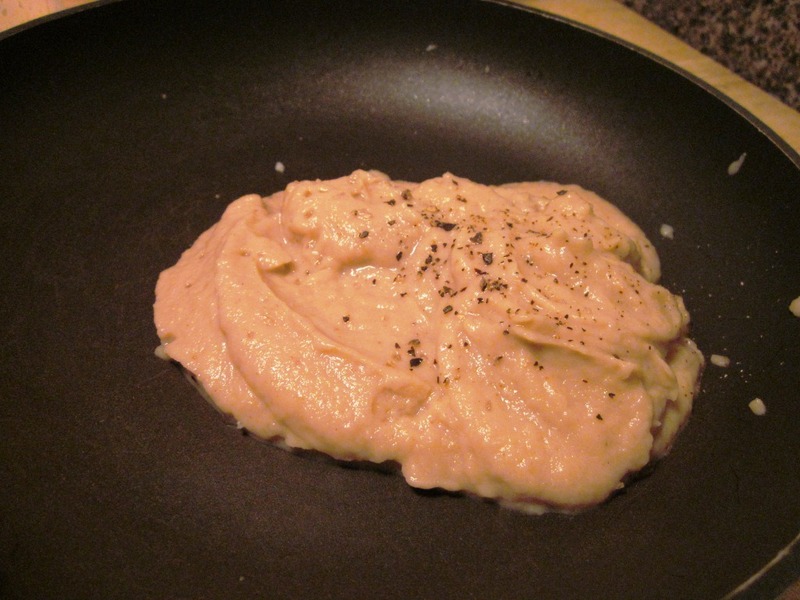 You can add a touch of olive oil if you like, but they are so creamy without adding anything! Cut the bottoms off the greens so that most of the stemmy part is removed (yes, that’s a technical term). 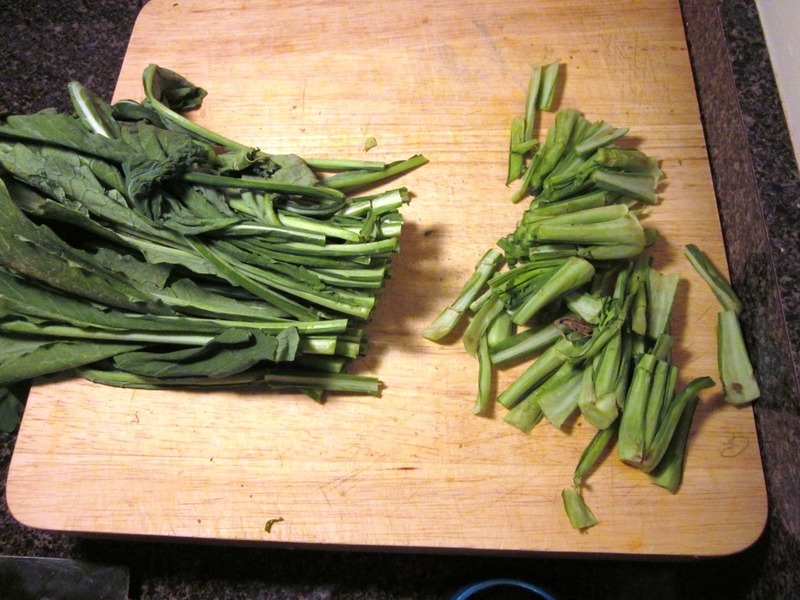 Discard the stemmy parts, and then cut the leaves roughly in half so that the thinner part is separated from the leafy greens. 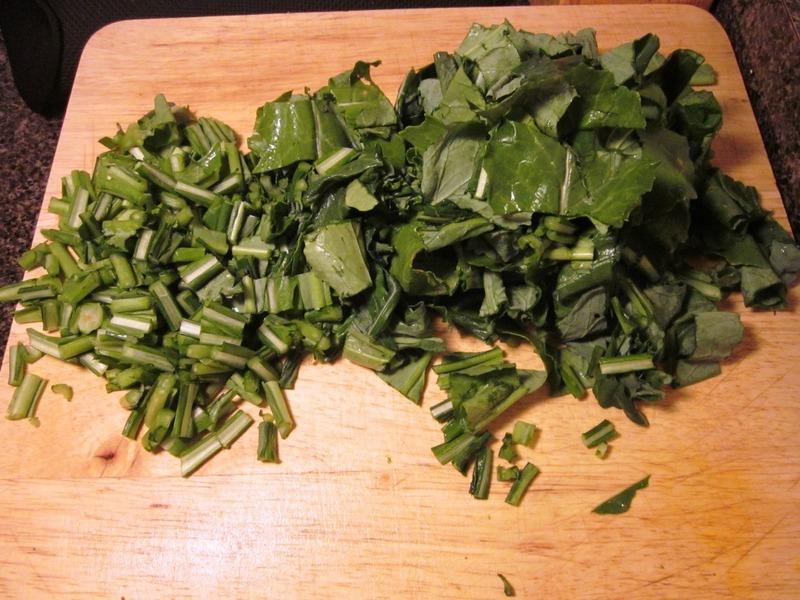 Repeat until all of the greens have been cut and are ready to cook! For these, I steamed them in a wok for about 15-20 minutes (longer than you’d think to break them down a bit) and then added a splash of white vinegar and a touch of salt. Simple as that! 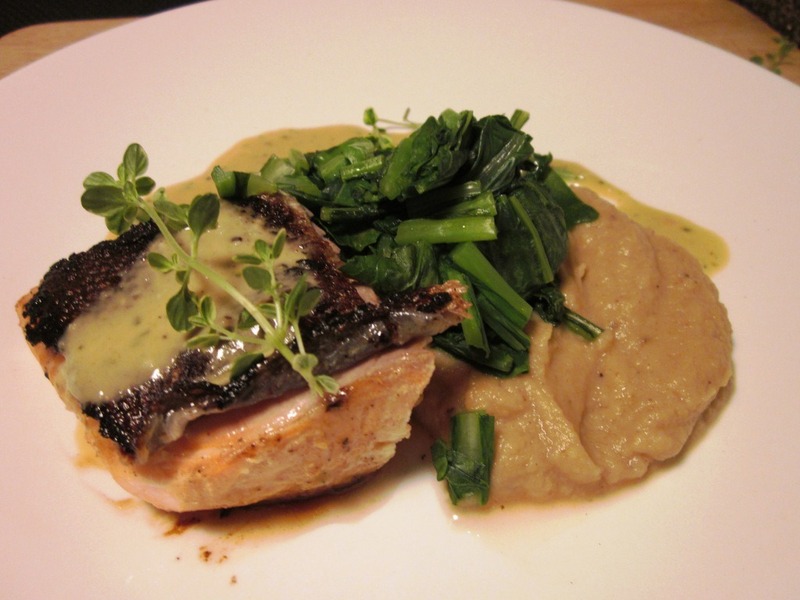 Wil prepared some red trout, which looks just like salmon, to go with the turnip puree and turnip greens. While the fish was outstanding (with a mustard vinaigrette), the roasted turnip puree was definitely the highlight of the dish. I couldn’t get over how smooth and creamy it was, and though Wil was proud of his fish, he agreed the puree was the best part of our dinner! The greens were very good, too and were a perfect contrast to the creamy puree. 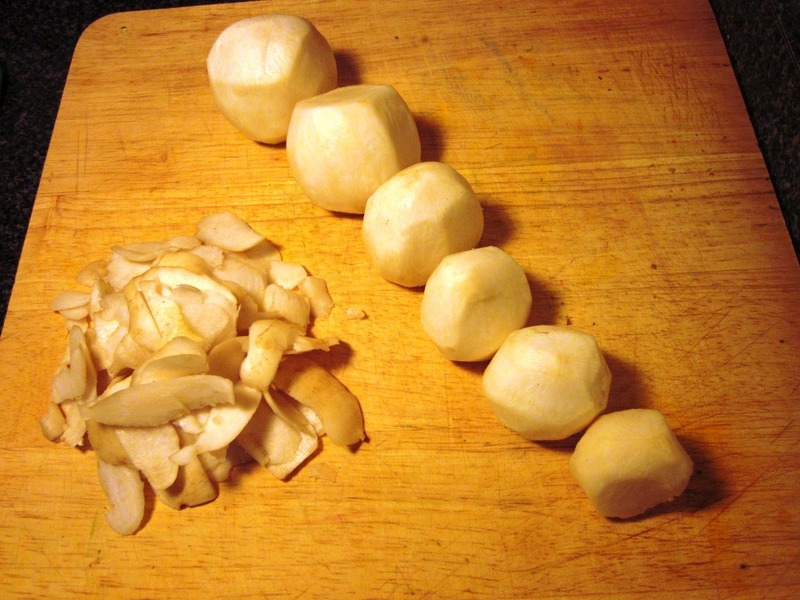 Have you ever had turnips? Love ‘em or hate ‘em? What’s a veggie that traditionally gets a bad rap but you like? I’ve had turnips but not turnip puree and now I definitely want to try it. That turnip puree looks delicious! I’ve had turnips mixed in with other roasted veggies but that is about it! I’ve never had turnips. Another one of those things I didn’t grow up with, so I’ve been slow to come around. I think broccoli gets a bad rep. I feel nowdays kids are just set up to hate it. Yes we grew them in the garden and I would put them in a beef stew/soup … like potato … it would cook in the beef broth and oh so good! I have never had a turnip before – but they look delcious in the waythat you have prepared them. I might just have to give them a shot. I have noticed that as I have grown up – I am aquiring a taste for veggies that I used to despise.. and never let into my mouth.. like asaparagus! I think I’ve only had surprise turnips. Like it was put in a soup or something and didn’t know it was there LOL. This looks really good though, and I like the idea for the cream soups. I will have to give it a try because I admit, turnips didn’t sound very good to me, but that puree looks good. Hahah I love the term “suprise turnips.” That is great! That looks delicious, I’ll definitely be trying this one! Good lord this looks good! 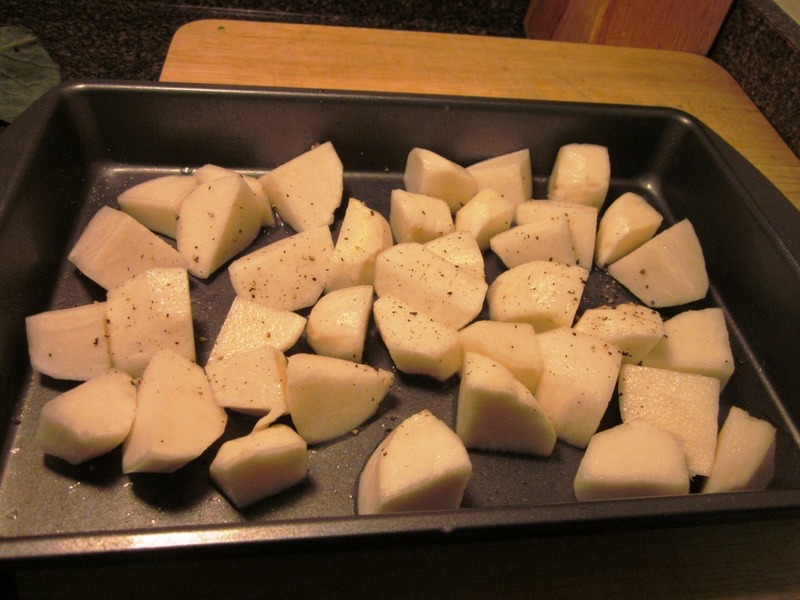 I’ve never really cooked with turnips; hard to believe! I will give this a go!! 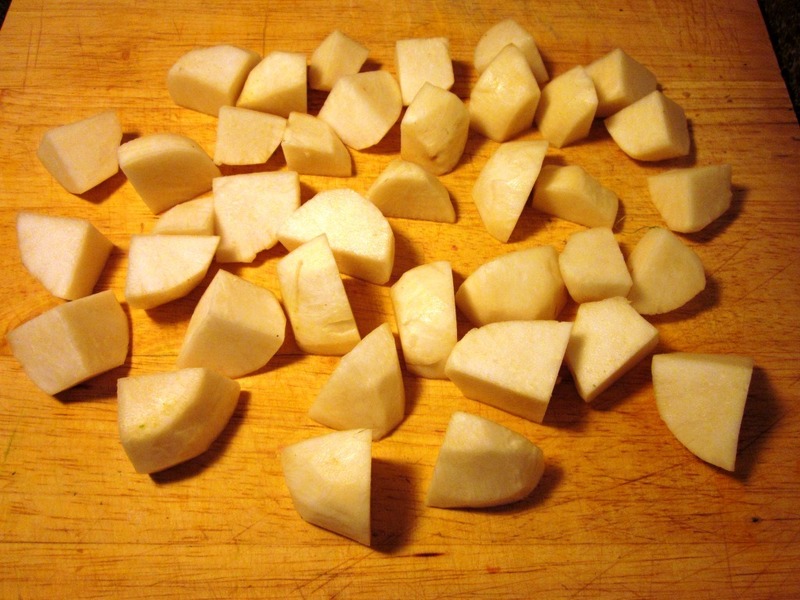 I really don’t like turnips, but I would be willing to try them again with this recipe. Wow that looks REALLY amazingly good. 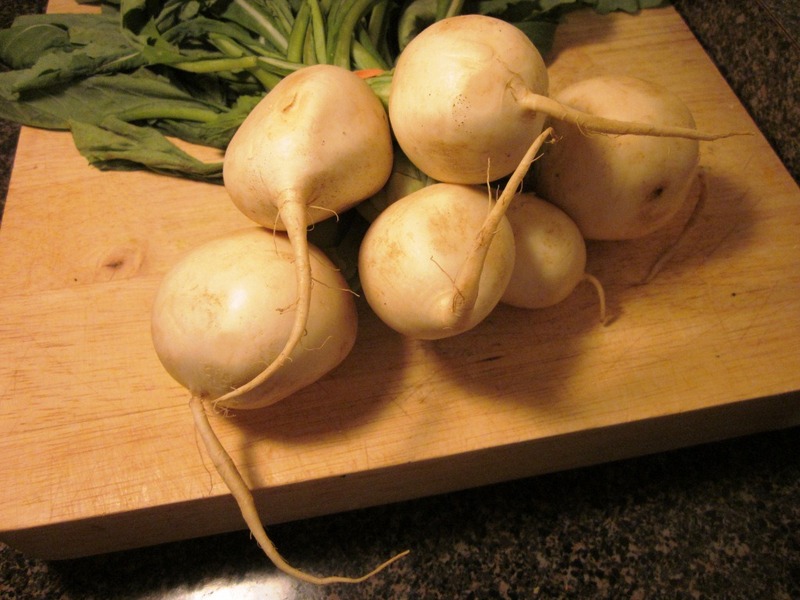 I see turnips at the Farmers Market all the time but never buy any. I will have to pick some up this weekend! 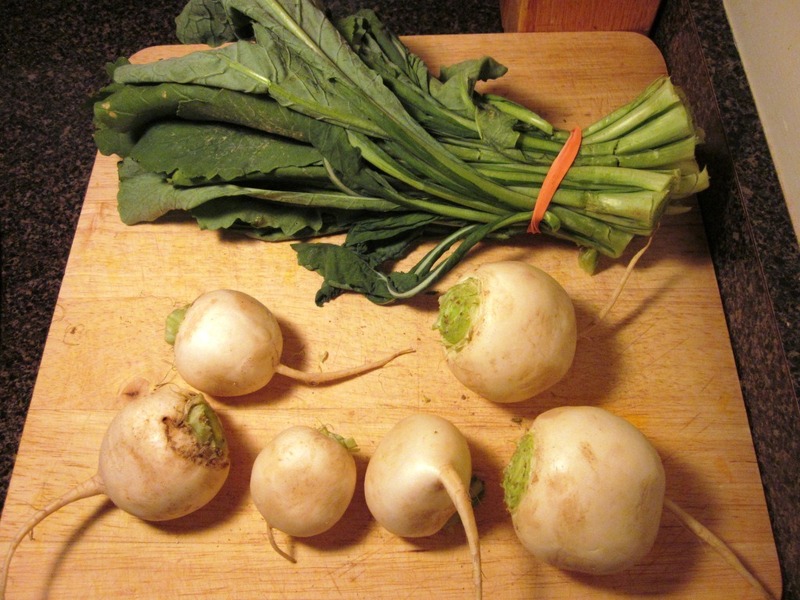 I’ve always kind of lumped turnips with radishes – not particularly interesting and kind of bland. But this looks really good, so you’ve inspired me to try them! I’ll let you know how they turn out. I love roasted veggies so the puree sounds delish! 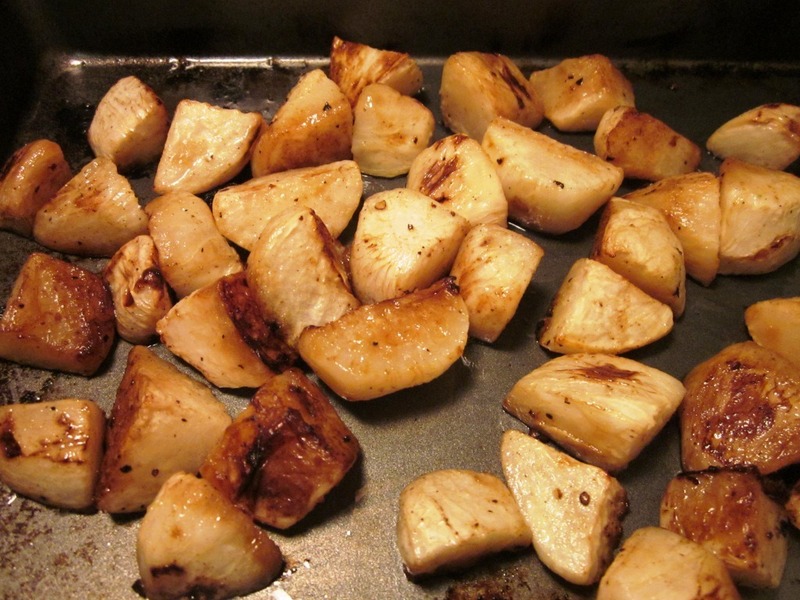 Even just the roasted turnips pre-puree look really good. I think broccoli gets a sort of generalized bad rap. I love it! Spinach too. Actually, most veggies get an undeserved bad rap. It’s too bad, really – people don’t know what they’re missing! I was planning on being brave and going to my first farmers market today but I don’t think my baby girl is going to be up from her nap in time…so I’m not sure now, but I really would like to pick up some turnips and try to make the turnip puree! It looks really good and super fancy! haha…like something I’d see on Top Chef! I looooove turnips! Its as if an apple and a potato had a baby :-P. Brussels sprouts get a bad rap, but I love those, too. I’m also addicted to beets! Oh my this looks good. 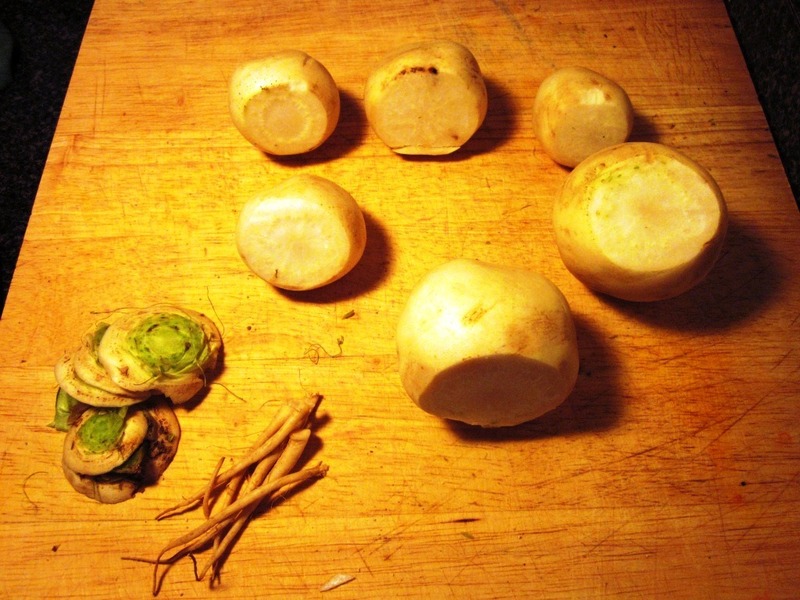 I’ve never had turnips and now I can’t wait to try them. We’re going to the Farmer’s Market this weekend, so I’ll definitely pick some up. I think brussel sprouts also get a bad rap. I never had them until I was an adult and now I love them. My kids love them too.